Sgt. Albert W. Kinney, son of Mr. and Mrs. I. W. Kinney, graduated from Tipton High School. 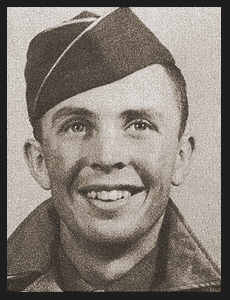 Entered Naval Air Corps in Oct., 1942, trained in Georgia, Missouri and Miami Beach, Fla.; was discharged and entered Army in 1943, trained in Camp Fannin, Texas and Camp McCoy, Wis.; served in Germany. Awarded ETO Ribbon with two Battle Stars, Combat Inf. Badge.